Challenging surprises can always arise whenever you do a home remodeling project, whether it’s budget, space or unknown structural problems. 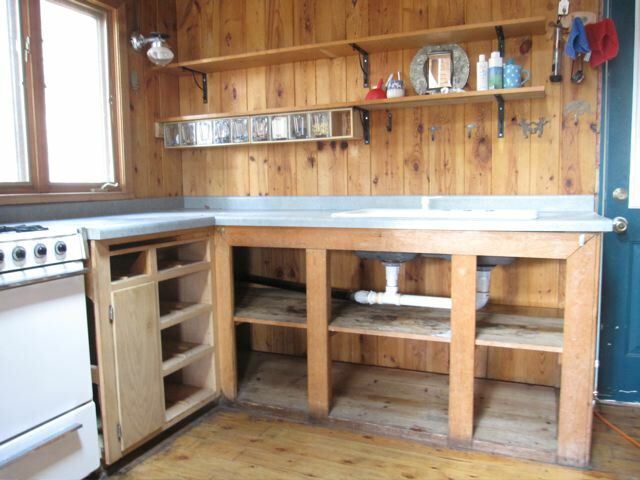 While spiffing up the kitchen in my beloved 60-year-old cabin on Moccasin Lake near Ely, Minnesota, I was faced with a unique test: installing new countertops, cabinets and tile backsplash without running water or electricity! 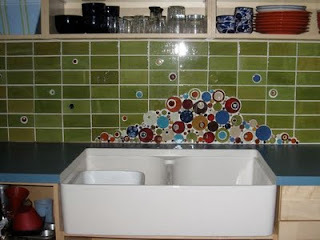 It was a fun spiff-up project and I’m thrilled with the results. I had been thinking and planning the project for years and it was great fun to see my vision executed. 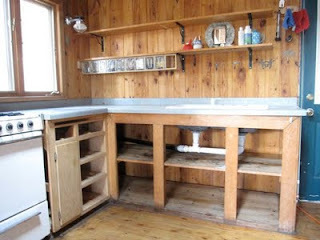 Even though I don’t have running water or electricity, I installed a farmhouse sink which makes washing dishes much easier! Without question, the showpiece of the spiff-up is the beautiful lime green field tile with bubble tiles in all of my favorite colors from Mercury Mosaics. 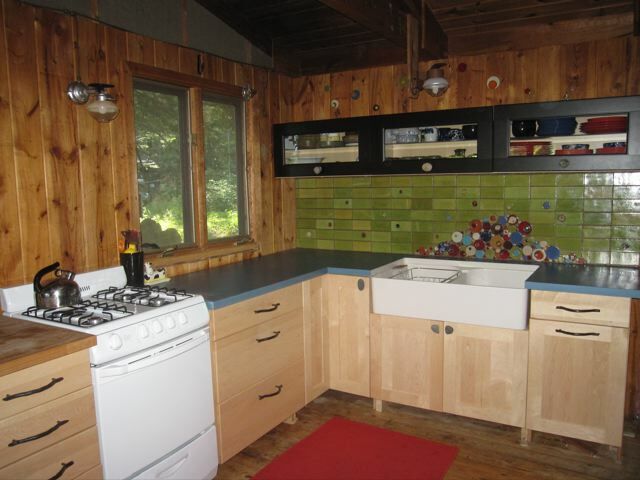 The organic yet colorful tile looks perfect in our rustic cabin. · New propane range: All, Inc.
· Amazing helpers: Pat Besanson, Peggy Magnuson, Laura Dupont, and Dave Zupec, a contractor from Ely, MN. 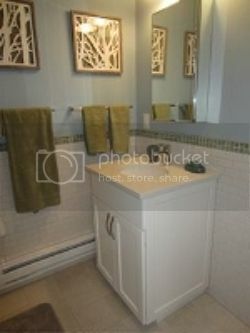 Now onto the next spiff-project at the cabin: the bedroom! This renovated century-old farmhouse nestled in the foothills of Virginia’s Blue Ridge Mountains immediately caught my attention. 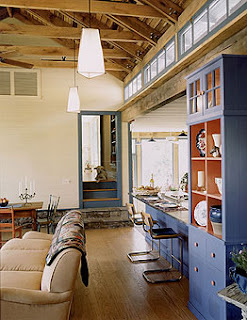 Architect Alan Dynerman kept the home’s original character and then incorporated layers of color and textures to create an inviting and relaxed space. I love the use of colors throughout the home! I love blue! 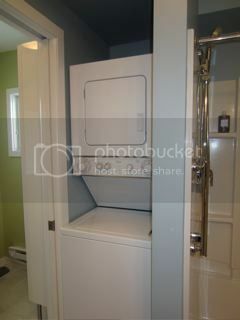 And the cobalt custom cabinetry is a warm, yet striking statement. 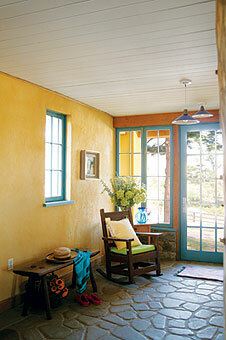 Turquoise trim beautifully complements the yellow stucco walls and smooth fieldstone floors. 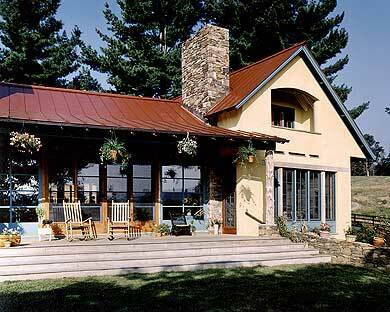 The painted metal roof, yellow stucco siding and blue and turquoise trim fit in perfectly with its beautiful mountain country surroundings. 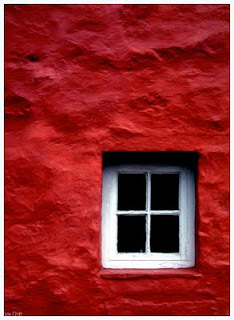 Use red in a room if you feel like you need to wake up and stop procrastinating!